Denver, Colorado-based Chipotle Mexican Grill is opening another metro Atlanta location. 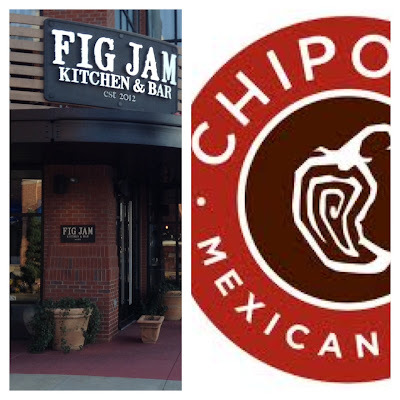 The fast casual burrito joint is planning a new restaurant for the current Fig Jam Kitchen & Bar at Brookwood Place in south Buckhead. Fig Jam is scheduled to close at Brookwood in late April and relocate in the fall to 12th & Midtown alongside fellow south Buckhead transplant Cafe Intermezzo. The Brookwood Place restaurant space opened as Wolfgang Puck Express in 2003, but closed in 2009. Baroni opened in mid 2010, but by early 2012, it had been re-concepted as Fig Jam Kitchen & Bar. Both Baroni and Fig Jam share the same owners as midtown eateries Publik and Baraonda. Chipotle has added a number of intown locations over the past few years, most recently opening in Howell Mill Village. That space was at one point earmarked for a Red Mango frozen yogurt shop, but that never opened, and Chipotle swooped in and opened this past fall. The casual Mexican eatery also added a location on Oxford Road in Emory Village in late 2011. Isn't that kind of a big space for just a Chipotle? Or maybe my recollection of the sq ft of Baroni are fuzzy. They're only using half of the Fig Jam space. And there's a new Chipotle being built beside Northpoint mall in Alpharetta. Just had lunch at Fig Jam today. They make an excellent burger. Would definitely return and glad to know they will not be closing for good. good to see fig jam go, but Chipotle is not going to make it at that location. the rent is too high, and the parking too far away for a fast food joint like that. and the neighborhood foodies that desire a burrito already flock to the nearby El Azteca, which is going very strong and has great food at that location. Hey Anonymous 2:57 PM, care to wager? I'll put down whatever you want. Never bet against, Chipotle. You been by any of their intown locations recently? Lines out the door at dinner and lunch. You will be proven so wrong.